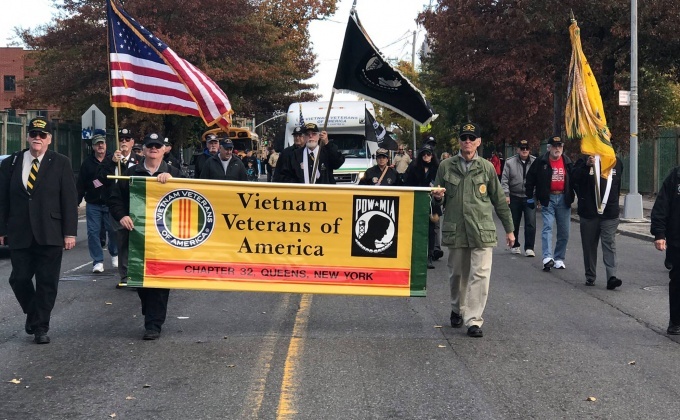 Military veterans will march down the streets of Middle Village this weekend as part of the ninth annual Queens Veterans Day Parade. 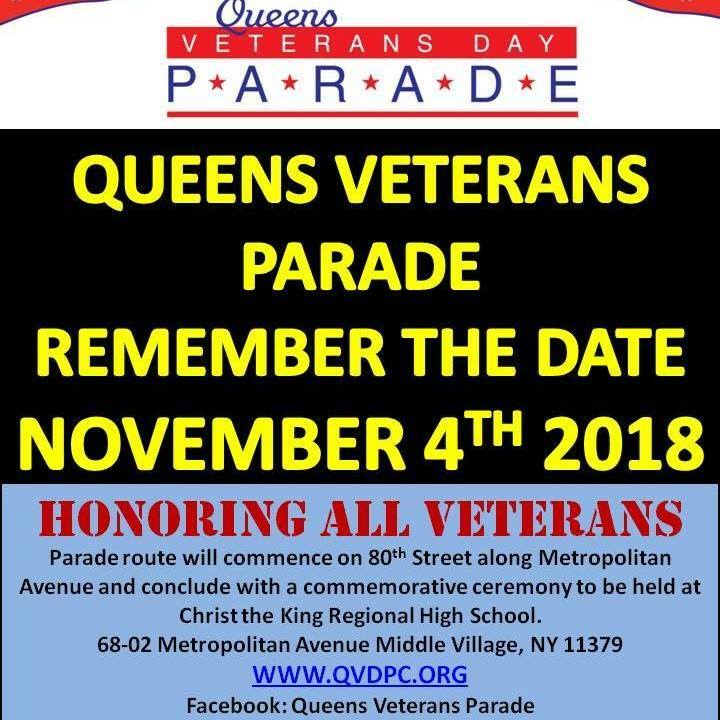 The parade begins at midday on Nov. 4, where participants will march around 10 blocks from 80th Street and Metropolitan Avenue before reaching Christ the King High School, where a ceremony will be held. The parade’s grand marshal this year is Sgt. 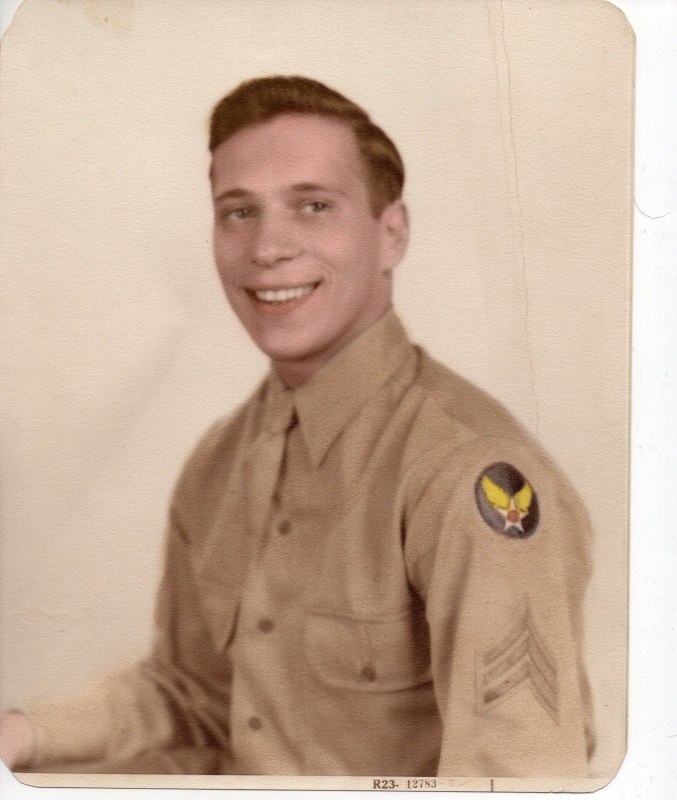 Gerard M. Opitz, a World War II veteran who fought with the U.S. Army Air Corps. Opitz, from Glendale, was part of the 389th Bombardment Group, which flew combat missions in France and Germany during several crucial moments of the war, including the Normandy invasion. The ceremony, additionally, will grant the Humanitarian award to the Frank Kowalinski Post No.4 in Maspeth. The organizers say the post is well known in the community, and is very active in helping veterans. The parade sees many veterans and veteran organizations march, including the American Legion, the Disabled American Veterans Charity, Vietnam Veterans of America, Veterans of Foreign Wars, and more. Local groups, like Glendale Kiwanis, Girl Scout troops, and the Christ the King High School marching band also take part in the annual parade.